10 European Coasters Facts for Rollercoaster Day! 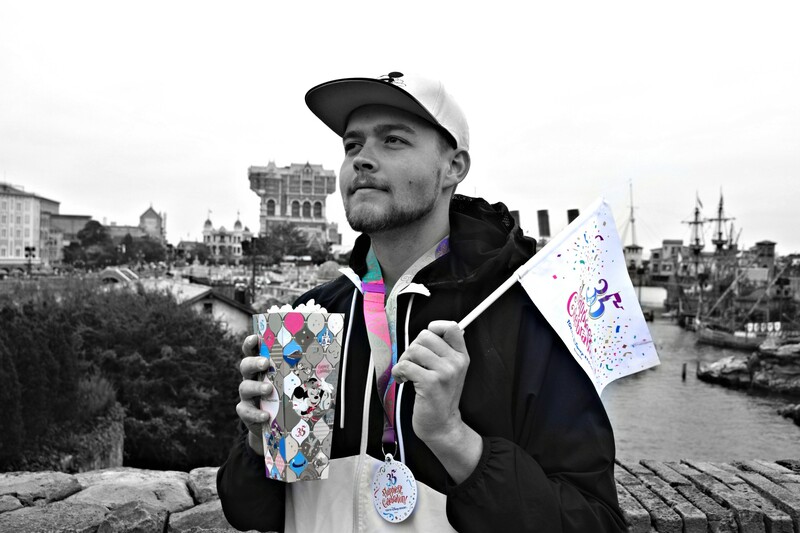 Sven: Hey everyone, it’s our special holiday today and what better way to celebrate with some coasters? There are many facts and figures out there about rollercoasters, but do you know these 10? Our updated version now on CCK! As you are reading this article, you are without a doubt a coaster fan. In Europe, we have them in all sizes and themes. The chance to ride them all is pretty small but don’t mind me if you want to do so! Another way to impress your friends however, is by teaching them some coaster facts! We collected 10 European Coaster Facts to brighten your Rollercoaster Day! Those that think that America is the coaster kingdom is wrong! There are approximately 1077 operating coasters compared to 1240 in Europe. Still, nor Europe or America can compete with Asia, which has 2337 operating ones! In this category, Asia holds third place with 22. Europe has a nice second place with 37 coasters. But the absolute winner here is definitely North America with 123! So if you love the sweet smell of wooden coasters, Europe has some to offer, but not the most. None of these have any inversions, so whose in favor of adding one in Portugal? When looking for permanent coasters in Luxembourg, you’re going to have a hard time: there aren’t any. Of course, as the country is so small, it doesn’t come as much of a surprise. Fortunately, Luxembourg is very close to Germany, France, Belgium and the Netherlands who all have theme parks that will please the Luxembourgers. When looking at the top three of countries with the most coasters in Europe, we have three that clearly stand out. In third place: France with 165 coasters at theme parks, including 4 wooden coasters. 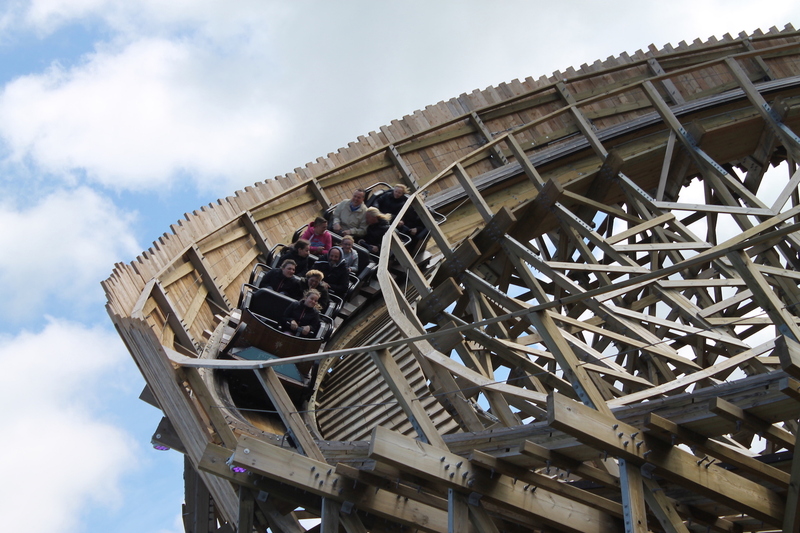 Second place is for the United Kingdom with 190 coasters, but they do have the most wooden coasters: 10. But number one for all type of coasters is Germany with 220, yet only 4 wooden ones! When you ask a fan about his favorite coasters, chances are pretty big that he or she will reply with a rollercoaster built by Intamin or Bolliger and Mabillard. Both companies are located in Switzerland but ironically, there are none installed in Switzerland itself! Time for Conny-Land to invest? One of the most special ways to slow down a rollercoaster is without a doubt a brakeman. This job is pretty exclusive as only 7 coasters in the world still have one. And guess what? 6 of them are in Europe! You’ll have to go to Austria, Spain, UK, Denmark and Finland to ride them all. The 7th one is in Australia and let’s be honest: Australia is already in the Eurovision Song Contest so if that is possible, the 7th one is pretty much in Europe as well. The word ‘rollercoaster’ has many translations. ‘Montaña Rusa’ in Spanish, ‘Rússíbani’ in Icelandic, ‘Montagne Russe’ in French, ‘Horská dráha’ in Croatian… Interestingly in Dutch and German, it is called respectively ‘Achtbaan’ and ‘Achterbahn’. Literally this means 8 track, referring to those shaped coasters. So next time, don’t talk about your favorite coasters, but about your favorite ‘achtbaan’! Most owners of a coaster counter will ride anything that can be classified as a coaster. A subject that can lead to a lot of discussions. What most people agree on though, is that ‘Wacky Worm/Big Apple’ coasters do very much count. Well fellow coaster fans, no shame for that and feel free to ride all 162 in Europe! Those who want more thrilling experiences can ride the inversion coasters. But where can you find those masterpieces that will twist your bodies? 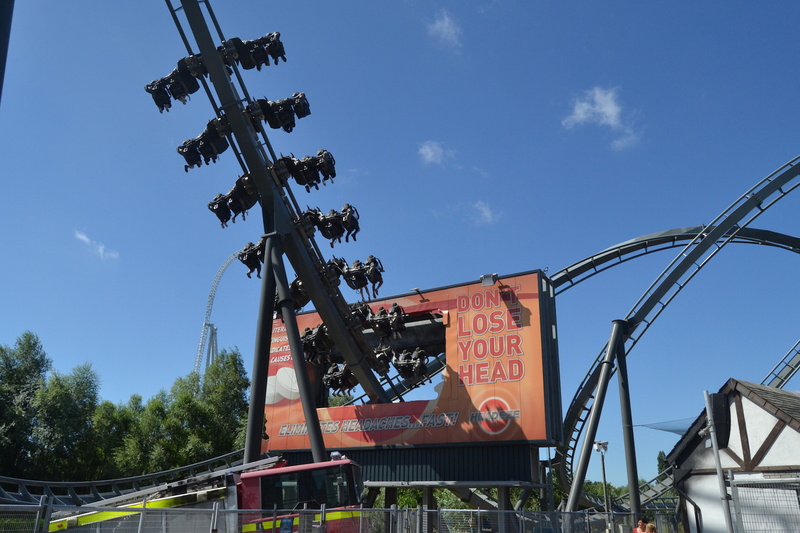 Well the park with the most inversions in Europe is Thorpe Park! All coasters combined, it offers 22 times, which makes it the 4th park in the world (together with Six Flags Fiësta Texas due to their new addition) with the most upside downs on coasters. Keep in mind that the second spot is for Alton Towers with 20, so you don’t have to drive too far to experience 42 all together! Good luck! So there you have it! We hope you are able to ride some coasters today as the end of the summer is near. So sit down, relax and enjoy! Want to learn more coaster facts? Check out the world famous RCDB.com! 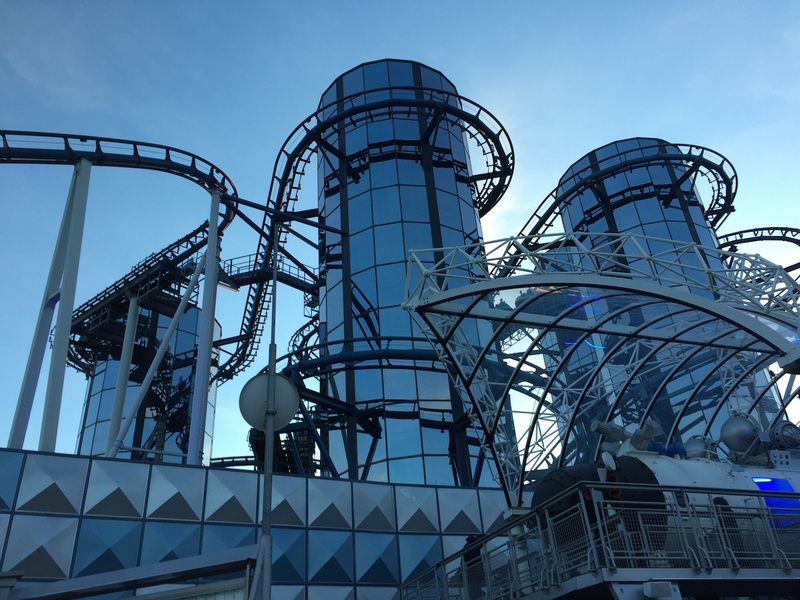 Thanks so much for reading our 10 European Coaster Facts! Please keep in mind, all images found on this site, unless otherwise stated, are owned by California Coaster Kings! Sharing them is fine, but only if credit to californiacoasterkings.com is given!